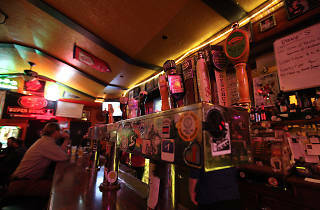 Given the location, close to Market Street at the busy border of SoMa and the Financial District, you'd expect Dave's to be glitzy and yuppie like nearby concept bar Local Edition. Instead, you'll find a low-key, welcoming bar with sassy bartenders who remember your name and your favorite drinks without any booze snobbery (no pushback on Buds and vodka sodas here). In the fluorescent glow, grab a seat at one of the sticky tables, join the moth-like frenzy around the game on TV, or sidle up to the bar to hear the latest from the barkeeps. 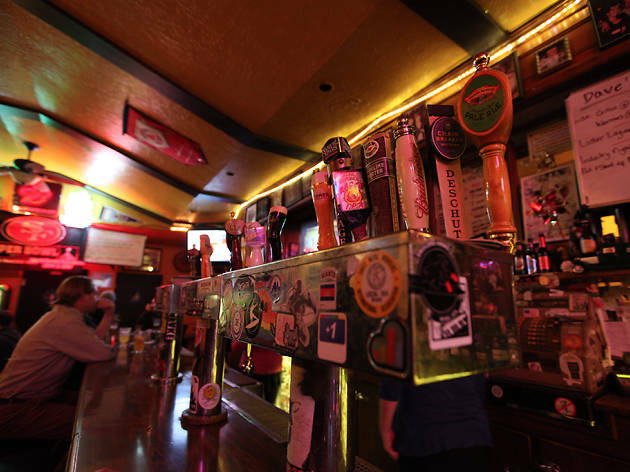 While other watering holes aim for a novel experience, Dave's provides exactly what you expect: strong drinks, good deals ($10 for a shot of Jameson/pint of beer combo, $5 happy hour specials) and a menu of true bar food, like nachos, hot dogs, chili, sandwiches and chowders. The place gets particularly packed after Giants games.